Play Beetle Mania™ deluxe online for free now! Beat the chaos and let the musical beetles dance to your tune! As soon as the cute insects are in the correct order many Twists will fly into your player account, for beetles double your winnings in the Free Game! So let's go: get those little beetles while they are still buzzing! 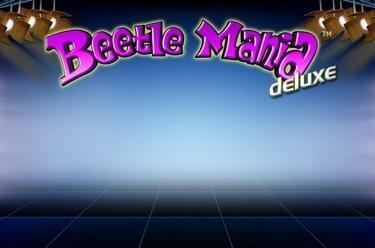 Beetle Mania™ deluxe is played on 5 reels and up to 10 win lines. Your aim is to land 5 matching symbols along a win line. Winning patterns start on the left and run along the win line to the right. To win, the symbols must land next to each other on an active win line without any other symbols between them. The bee is the Joker and replaces all symbols except beetles and musical notes. 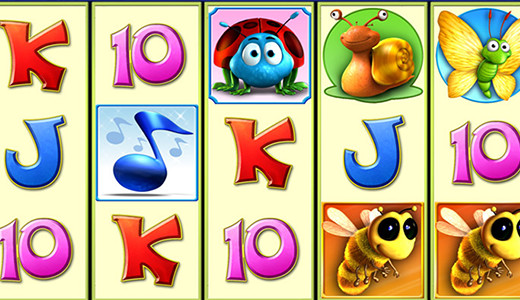 3 or more notes that land from left to right trigger 10 Free Games, which use the bet of your last game round. If a beetle appears during the Free Game in any position on the middle reel the winning counter (including your current win) will be DOUBLED (max. 100,000-fold line bet). You can’t win additional Free Games during a Free Game.